This tiny honey amber pendant is very elegant. It is set in a heart shaped sterling silver case. 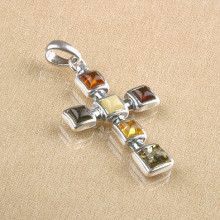 The amber stone has a sparkling look to it. This gift is sure to please anyone receiving it.